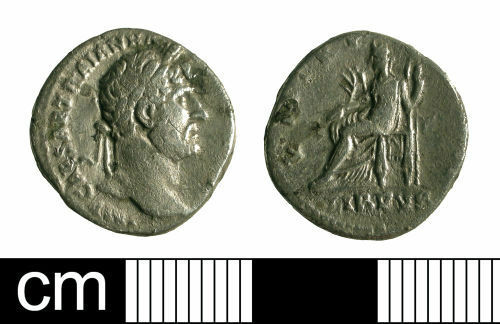 A silver denarius of Hadrian (AD 117-138); P M TR P COS III LIB PVB reverse; minted at Rome, AD 119-122. Ref. : RIC Vol. II, p. 355, no. 127. Measures 16.7mm in diameter, 1.8mm thick and weighs 2.4g. Reverse description: Libertas seated left, holding branch and sceptre.